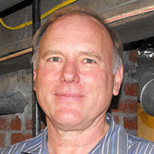 Allen Tanner is the owner and operator of NY Infrared Scan, Tanner Contractors, and Capital District Home Inspectors. Allen has been in the commercial and residential contracting business since 1972 doing professional building, remodeling, home inspections, and energy auditing. Allen has actively pursued professional development in order to stay current on new building technologies and to learn new skills. He is active in several construction related organizations as well as the local business community. We are also a Home Inspector, Contractor, and Energy Auditor. Please click on the below logos to be view my other websites.